Our bar POS moves as fast as your bartenders. From tab management, customizable features and live analytics, learn why thousands of bars choose Upserve POS, formerly known as Breadcrumb. Factoring in all costs, bars save 48% over three years with Upserve POS compared to a legacy on-premise solution. *Based Nucleus Research’s independent analysis of three-terminal bars and restaurants. An extra shot here, two custom drinks there. 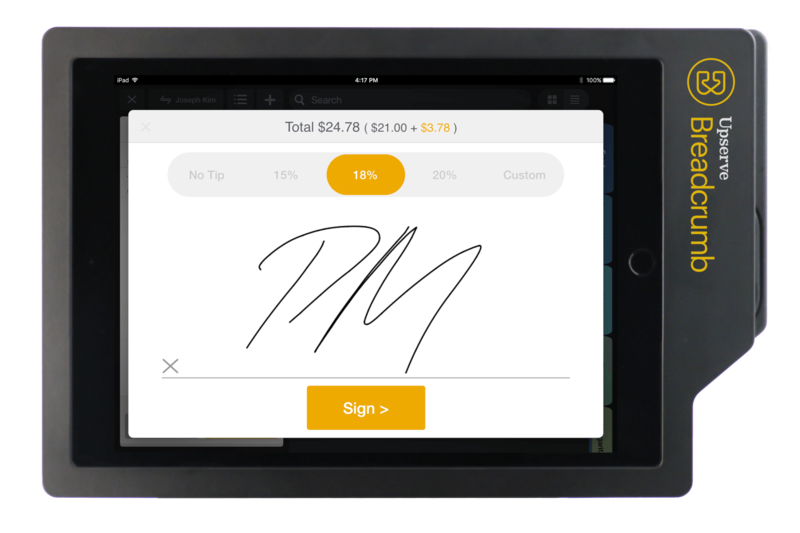 You don’t need confusion when accommodating custom orders – you need a point of sale software built for bars. 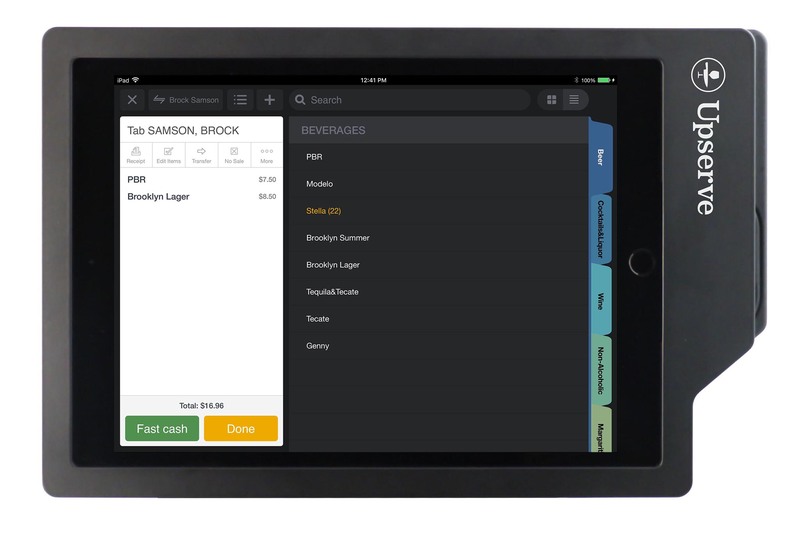 Customize the interface of our bar POS system, giving you instant access to your most popular drinks. More tips for them, more revenue for you. "Upserve allows me to easily track what’s happening at my bar anytime and anywhere." "Much easier for our staff to use than the competing system we had previously. Most features are intuitive for our staff to use. Pre-populating check names from a credit card swipe is huge and it saves bar staff significant time." "Great customer service and software. Making it east to run and grow our bar." Create separate checks, split tabs evenly, and add a gratuity. When an experience doesn’t go as planned, no worries. Breadcrumb POS lets you comp and void checks so your customers stay satisfied. Plus, our pre-authorization feature makes starting a tab as simple as swiping a credit card. Closeout without the card to make the end of the night easier, all while protecting against walkouts. Naming a tab with a card swipe makes it easy to find guests’ checks. Accept cash, credit card or other tender, then swipe for tableside service. Our signature on screen and built-in tip settings will delight both your bartenders and your guests. Faster checkout gets people on their way and frees up more bar seats so you can keep slinging drinks (and cash). On the rocks or neat, our bar POS software enables you to save and edit house accounts. Gain access to customer notes and see visit history, upcoming reservations, and past drink orders. Recent guests, big spenders and regulars will all be added to a special guest list, so you can give them first priority. Stronger customer understanding and easy tab management lets your team focus on selling and driving loyalty. The average bar can generate over $25,000 in sales in any given week. Competing against thousands of bars in your city isn’t just a game, it’s a matter of survival. And when every check counts, Upserve POS is a point of sale system you can rely on. Integrating your bar POS with the rest of your business processes reveals game-changing insights that help you streamline everyday bar management processes. 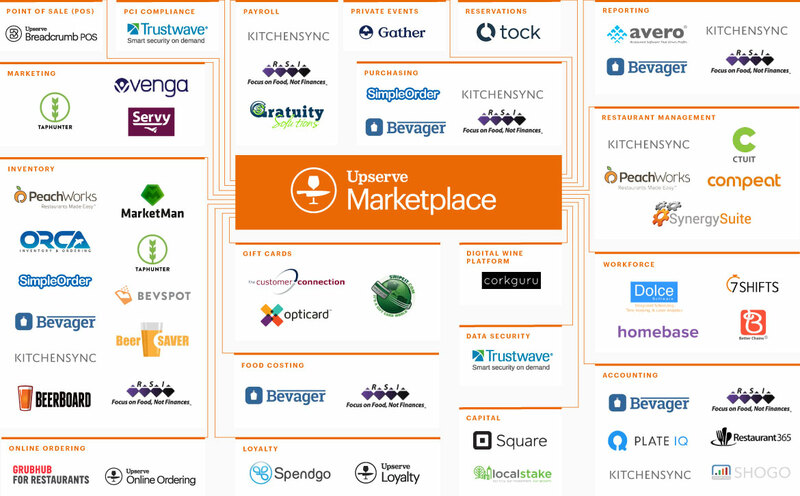 Our technology partners include Bevager, RSI, KitchenSync, and more. 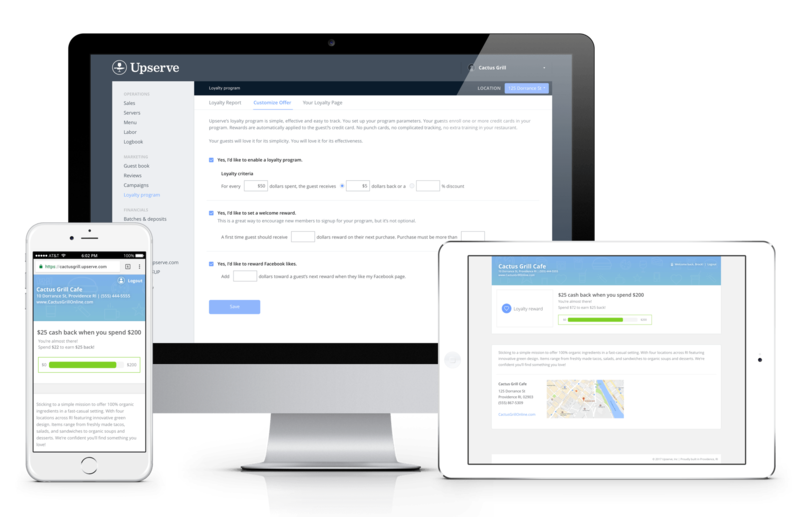 Upserve’s employee management integrations nix the need for paperwork. With a bar POS system that plays nice with payroll systems, you can schedule shifts, track hours, and communicate like a boss. Reward your hardworking bartenders by accurately allocating the tips they’ve earned. Our gratuity integrations help bar managers calculate, divide and deliver tips, reducing error and conflict. Access these important functions online so everyone gets paid fair and square. Do you know how much that merlot is really costing you? Gain insight into item costing analytics using our integrations for purchase management systems. Optimizing ordering will help you cut down on 30-50 hours of manual administrative work. When you need to take a vacation, we’ll stay hard at work – simply check your email and gain access to live reports. When you need us, we’re here for you. Whether you have a simple question or you’re in full-disaster mode, our knowledgeable, U.S.-based staff is always on call to help.